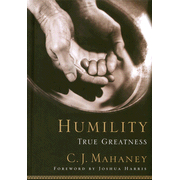 I just finished leading a group from my church (my third time) through this book. I don’t know who benefits more, the people I take through this book, or myself. As far as I’m concerned the two greatest truths we as Christians should have a good grasp on are the Gospel and God’s Sovereignty. There are excellent books on both these subjects, but the most practical book (in my opinion) on the latter topic is this one by Bridges. The reason God’s Sovereignty is such an important subject is that the Christian life is a life of faith in God’s promises, His character, nature, and plans – all of which require our trust when we can’t see what’s in front of us, or why things happen the way they do. The more we know what God is really like – biblically – the more we are able to trust Him daily. 1) Can You Trust God? 2) Is God in Control? 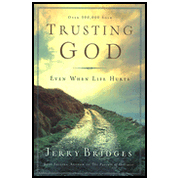 The author provides a myriad of reasons in this book into the how, why, what, and when’s involved in trusting God and His infinite trustworthiness for living the Christian life. I can’t recommend this book highly enough. It’s been a tremendous source of encouragement for me in incredibly tough seasons of life. 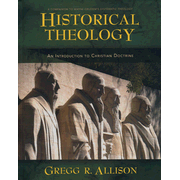 *Dr. Gregg R. Allison has made a very useful and practical contribution to the study of historical theology – especially for those familiar with Wayne Grudem’s “Systematic Theology.” Gregg writes clearly and cogently for those of us who desire to go deeper into the historical foundations, development, and significance of each major doctrine of the Bible. This book is simply a marvelous plethora of useful information on the development of theology gathered in one place, synthesized masterfully by Allison for those who want to know how theology has come to us by the greatest theological minds in history. The author follows the same outline of Wayne Grudem’s “Systematic Theology,” (also available from Zondervan), and thus it makes this resource an excellent companion of Grudem’s outstanding work. I highly recommend both of these resources to be used together for anyone who desires to know what we believe and how the greatest God-centered theologians of history have developed the sound theology needed to transform lives and culture today in the 21st century. 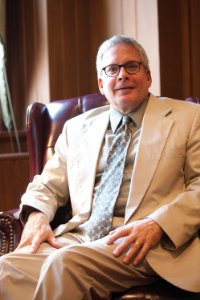 *Dr. Greg Allison in his own words: I am Professor of Christian Theology at The Southern Baptist Theological Seminary where, in addition to teaching the three core theology courses, I teach electives on the doctrine of Scripture, the doctrine of humanity (with a focus on human embodiment), the doctrine of the church, historical theology, and Roman Catholic theology. I do occasional teaching for the Institute of Biblical Studies and Re:train. I am also secretary for the Evangelical Theological Society and serve on the editorial committee as book review editor (in the areas of theology, history, philosophy, etc.) and referee (for articles). I was born and raised in Chicago, which means I am a Bears fan, Bulls fan, Blackhawks fan, and Cubs fan (and hate the White Sox). I have a B.S. 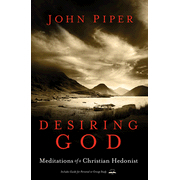 in biology, a M.Div., and the Ph.D. in Systematic Theology. Beside teaching and writing, I enjoy reading, sports, music, and the outdoors. I swim a mile five times a week to keep healthy. My wife Nora and I were married in 1976 and have three grown children: Lauren is married to Troy, lives in the Seattle area, and has two kids (Caleb and Alia) with another on the way; Hanell is married to Mike, lives in Louisville, and has two kids (Annelie and Hudson); Luke is a senior at Union University majoring in math and secondary education with a minor in Church history. Some unusual tidbits about me: while in high school I designed the offical seal of my city (Riverdale, Ill.); my wife and I had a private audience with Pope John Paul II (along with 9,998 other invited guests); we lived in Rome and the Italian-speaking part of Switzerland for a total of seven years. 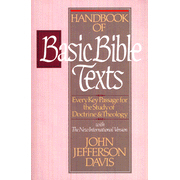 John Jefferson Davis, professor of Theology at Gordon-Conwell Theological Seminary, has provided a very practical resource for Bible Students who desire to check out what the Bible has to say on the various aspects of Systematic Theology (what the whole Bible has to say on a given topic/doctrine). Each chapter in the book includes a major subject of the Bible followed by a brief introduction; all the relevant verses on the topic in sequential order; brief theological comments on most of the verses; and recommended resources for each subject at the end of each chapter. 1) Scripture – Verbal inspiration and Inerrancy. 2) God – His existence; Divine attributes – Metaphysical & Moral; The Trinity, and Election (verses supported by both Calvinists and Arminians). 4) Providence – Nature, World History, and Personal Circumstances. 5) Person of Christ – Humanity and Divinity; Divine Titles; Divine Attributes or Qualities; Divine Actions and Prerogatives; etc. 6) Man – Man’s Original State; Aspects of Human Nature (Trichotomy and Dichotomy); Man in the State of Sin (Original Sin; Personal Sin, Manifestations and Consequences of Sin. 7) Work of Christ – Preaching, Teaching, Miracles; Obedience; Death; Resurrection; and Ascension. 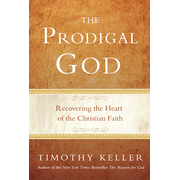 8) Salvation and the Christian Life – Calling and Regeneration; Repentance and Faith; Justification; Sanctification (Wesleyan, Reformed, Pentecostal Distinctives); Perseverance (Reformed and Wesleyan/Arminian Views). 9) The Church – Nature of the Church; Government of the Church; Mission of the Church. 10) Sacraments – Baptism (General Texts; Believer’s Baptism; Infant Baptism); Lord’s Supper (General Texts, Lutheran, Reformed, and Zwinglian Views). 12) General Eschatology – The Second Coming of Christ; Millenial Views (all four major views); The General Resurrection; The Final Judgment; The Eternal State. As a teacher, preacher, disciple maker, mentor, counselor, and life coach for Christ – I find myself coming to this book over and over again to provide just the right verse/s for my understanding and instruction on a particular topic. I like the fact that Davis allows you to formulate your doctrine based on the Biblical evidence. It is more helpful than a concordance in that theological truths are taught throughout the Bible without using theological words (e.g. “Trinity;” “pre-millennial”; etc.) I can’t recommend this book highly enough. 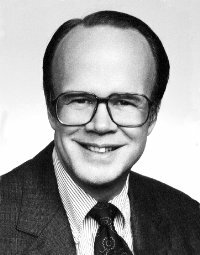 *John Jefferson Davis is Professor of Systematic Theology and Christian Ethics at Gordon-Conwell Theological Seminary, where he has taught since 1975. He is an ordained Presbyterian pastor. Larry Stone has served us well by giving us a beautiful book that can sit nicely on one’s coffee table and tells the compelling story of the development, translation and transmission of the Scriptures in various languages, it’s historical development, and the current status of translation today around the world. With his selection of various pictures, pullouts, and interesting stories, Stone does not fail to captivate the reader of this book. He does a superb job of giving information that is scholarly and yet accessible to anyone who is interested in knowing more about how the Bible came to be and its impact on civilization. Having had classes in Bibliology in Bible college, and seminary – I still learned things from the book that I had never known before. We have a nightstand at the entryway to our home and I have found visitors and my two teenagers sitting down looking through the book and being captivated by its contents, pictures, and pullouts. The visual aspects of the book make it almost irresistible to look at. Stone’s book gives the reader a greater appreciation of the Scriptures and the cost and sacrifice involved in making them available in our language. I would suggest three additions for a future addition to this book for even more usefulness: larger font, a glossary in the back of key terms discussed in the book, and another chapter on the authority, sufficiency, and relevancy of the Bible for salvation and sanctification. However, as the book stands, I would still highly recommend it to everyone who wants to know more about how the Bible came to be.